Growing up, all I knew of cranberry sauce was the jellied variety in the can. 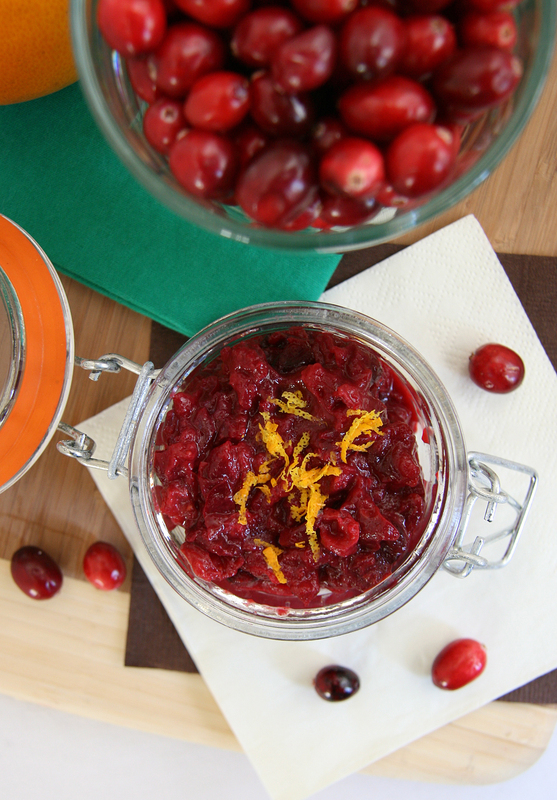 Cranberry jelly accompanied all our holiday meals at Thanksgiving as well as Christmas through the years and was a holiday table staple. Once I started to pay more attention to the ingredients I was consuming, I was shocked to realize it was basically sugar and more sugar. This year, I wanted to make a homemade version I would feel good about eating. 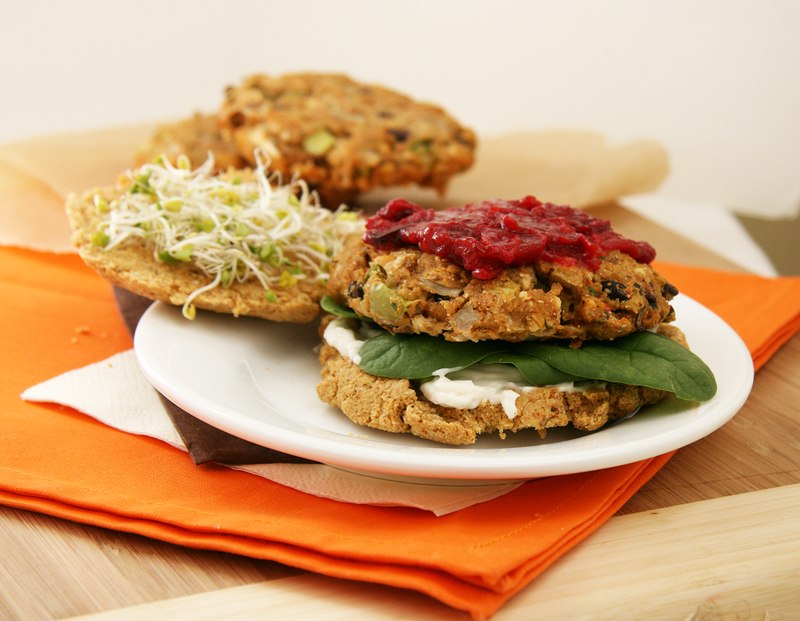 I also aimed to create a recipe that embraces the tartness of the cranberry while using fruit juices and natural sweeteners to highlight the berry itself. I prefer my cranberry sauce with smashed whole berries for texture purposes and so I know I am consuming the real deal! If you like nuts in your cranberry sauce, chopped pecans or walnuts would be lovely additions to this homemade condiment. *If using dates for your sweetener, soak them until soft and puree them along with the orange juice before cooking. 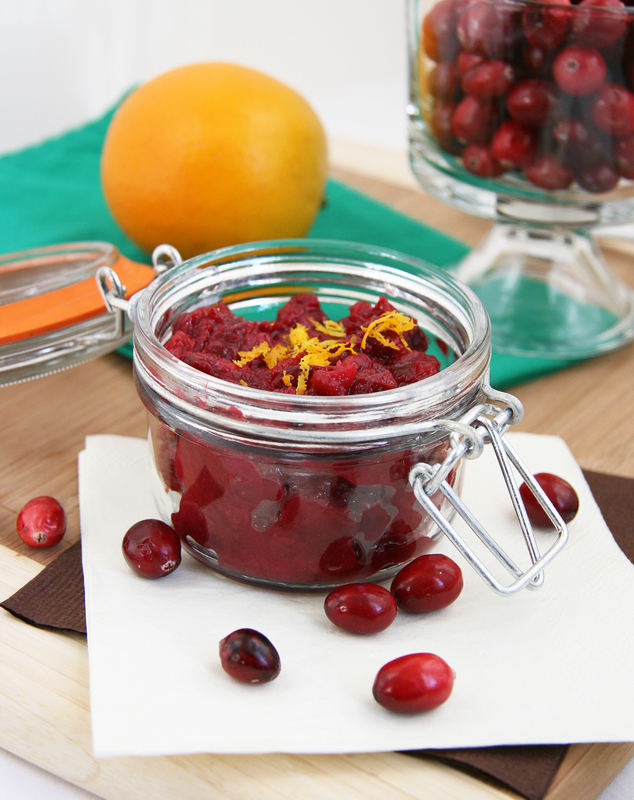 Serve this cranberry sauce over stuffing, roasted meat or even a veggie burger (recipe to come)! I am the same way! The dates keep it purely fruit-sweetened which make it’s a real winner in my book 🙂 I just wish cranberries were in season longer! 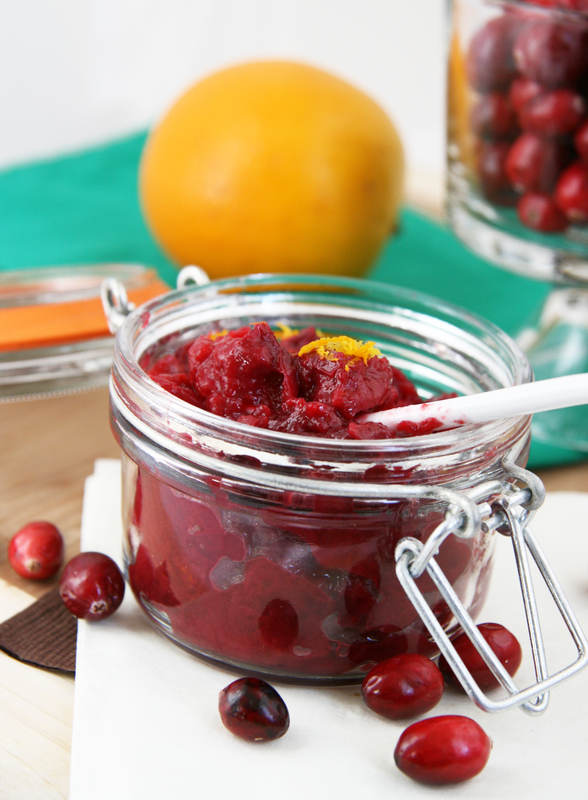 Oh, how I love cranberry sauce. Well, I love cranberries period, as in fresh, right out of the bag. They are so crunchy and tart! I wish they were in season all year round! I’ll definitely have to try honey and orange juice as a sweetener this year. Seriously, I can’t believe that people still buy the canned stuff. Can you think of anything that’s easier to make? Especially if one is going to be making the unhealthy version that calls for cranberries, sugar and water. Even at that, it’s a much better option than the canned stuff! I have eaten several straight from the bag but then I get bored 🙂 they just call my name to cook or bake with them! I love the crunch though, what a fun this berry!